Have you ever seen a high-performance notebook computer packing Intel’s top-of-the-line Core i7 Extreme Edition with overclocking that blazes along at more than 4GHz? Have you ever experienced the superfast performance of a quad core gaming laptop that transfers files in less than half the time? Only the MSI GT780DX laptop, on display for a limited time, supports the Core i7 Extreme Edition, the fastest in the industry, to give you extreme system performance and cooling capabilities. During Europe’s Dreamhack late last year, MSI held its “Beat It!” video gaming competition and computer exhibition. MSI showed a number of MSI GT780DX gaming laptops all packing Intel’s smoking limited edition Core i7-2920XM Extreme Edition processor. In this, the first dynamic demonstration of the processor in notebook computers on the market, these top-end laptops broke the 4GHz overclocking barrier. 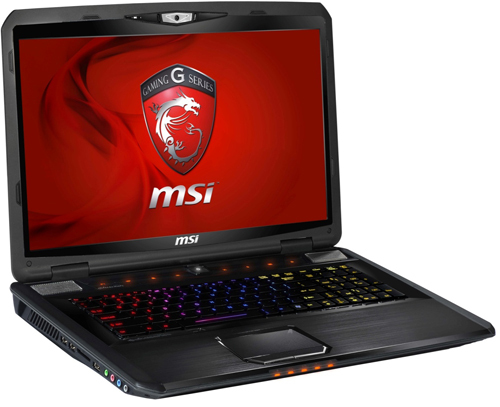 With Dreamhack over, MSI’s GT780DX with Intel Core i7 Extreme Edition can be seen in activities spotlighting laptops organized by Intel and MSI in other countries. 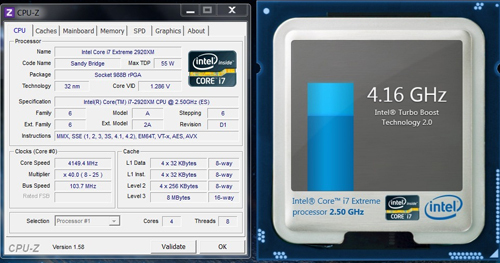 Not only does the limited edition GT780DX zip along at 4.16GHz, when you compare it to notebooks with Core i7-2630QM, tests show that CPU performance increases by at least 43%. The CPU calculates “Super PI 32MB” a minimum of 52% faster which is very helpful for decimal number and complex multifunction calculations. For example, the time required to compress a 1GB file drops from 3 minutes 6 seconds to 2 minutes 9 seconds—44% less time. Performance speeds of various applications are markedly improved and calculation times reduced for a tremendous enhancement in overall system performance, underscoring the superior stability and cooling performance of MSI notebook designs. In the world of notebook computers, there’s generally a direct ratio between the size and weight of a computer and its performance, because the CPU and Graphics, the two components that make the biggest difference in terms of performance and power consumption, use over 65% more power in high performance laptops than in their regular notebook computer counterparts. High performance 17-inch laptop designs, therefore, generally require a very large cooling system and a high capacity power supply design, making the NB so big that it’s very difficult to actually lug around. 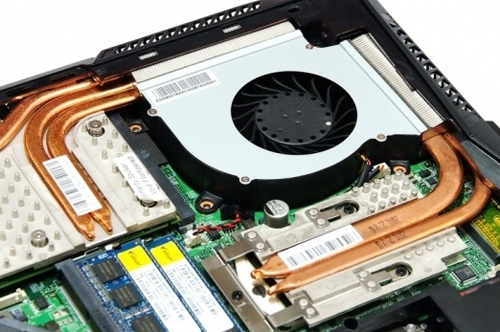 The GT780DX, MSI’s most advanced 17-inch gaming laptop, has overcome these problems. It is the most efficient and most powerful large-size gaming NB on the market today. In addition to featuring a metal chassis and a number of details designed with the serious gamer in mind, it also supports the advanced Intel Core i7-2920XM Extreme Edition limited edition Quad Core processor. It’s also the only laptop in its category that weighs less than four kilograms. With two hard drives, four memory units, and a 9-cell battery, the GT780DX tips the scales at just 3.85KG—much lighter than the 4.5-plus kilograms of most 17- and 18-inch gaming NBs currently found on the market. Not only does the exterior design meet the needs of both gamers and graphics designers alike, the excellent cooling system design keep the GT780DX’s processor and discrete graphics card working at below 80℃, keeping the machine stable even when overclocking for long periods of time, so that you can play games or using drawing programs without worrying about stability problems. All MSI gaming laptops employ cooling systems with the highest standards in the industry, so they are more than equipped to deal with the heat produced by the graphics cards when overclocking—even when overclocking at over 4GHz. When you turn on the exclusive Cooler Boost overclocking heat dispersion system, it throttles up fan speeds to super fast speeds, reducing chip temps to 5~10℃, so when it’s used for regular processors, like the Intel Core i7-2670QM, overall temps are even lower, maintaining high stability even under the harshest environments. The MSI GT780DX gaming computer also has other exclusive features, such as a 2.1 channel sound system built in cooperation with world leader in professional sound system designs Dynaudio of Denmark. The high quality stereo sound remains crisp and clear within a 10-meter radius and the cinema-grade THX control software allows you to tweak the acoustics to meet the purpose at hand. The entire series of gaming laptops also sport high brightness, high clarity full HD screens to provide users of all types the best possible sounds and visuals.